This is not a subtle case…Consequently if you do not retract the plagiarizing paper, we will all resign from your Editorial Board. The campaign was organized by Steven Salzberg, who told us he learned of the debate after Michael Beer, who claims the 2016 paper lifted his work, forwarded the article we posted on the issue last week to some faculty at Johns Hopkins. Salzberg — who is based at Hopkins but not on the editorial board at Scientific Reports — went through the names on the journal’s editorial board and contacted everyone based at Hopkins, to see if they’d also be willing to resign over the journal’s conduct. I just wrote to them all. So far, 21 people have signed their names to the letter. This is not a subtle case of plagiarism. It’s quite blatant. Obviously, our Scientific Reports paper “Recombination spot identification based on gapped k-mers” didn’t plagiarize any paper. Salzberg told us if the journal doesn’t respond in a couple of weeks, the signatories will likely give a deadline by which it has to respond. Our colleagues don’t want to resign. They want the paper to be retracted. So I hope that’s what will happen. We’ve contacted Liu and Scientific Reports, and will update if they respond. Please see an update on this story. It is interesting to see how “Scientific Reports” responds! They do have enough number of board members, I guess. Very impressive Editorial Board – i found at least 4 – 5 members of the same department in my university! I was surprised at the large number of members of the editorial board at one University. I went to the journal web page and it appears that there are over 8000 members of the editorial board which seems unreasonable to me. I looked through the names in my own field and only recognized a handful of the names. Is Scientific Reports a predatory journal? 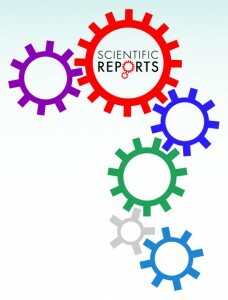 Scientific Reports published 21057 papers in 2016, according to this search: https://www.nature.com/search?date_range=2016&journal=srep . This requires a large number of editors. Page charges are about $1700/paper: https://www.nature.com/srep/about/article-processing-charges. You do the math. The journal is published by the same group that published Nature, so I doubt that they can be considered a “predatory” journal. as i mentioned earlier, there are 4 – 5 members in one department! I notice that some of them who i know are junior faculty members. This is good because it looks good on their CV just like a keynote speaker in one of the “conferences”. Promotion and Tenure application will be stronger with a editorial board membership in a Nature press journal and in a high impact factor journal. Good luck. Nice impact of Retraction Watch! Scientific Reports is one of the Nature group journal offerings. It was not listed in the last update of Beall’s List. The Nature journals claim to be COPE affiliates, however I’m not getting any replies to requests for reviews of clearly dodgy articles, so one wonders what is going on with the management of the Nature group these days. How do they manage to pay so many editors . . . Sad to see such a once-illustrious journal devolve into this kind of business. I would make a guess that none of these 8000 members of the editorial board sees a penny. Not predatory, but largely a vanity press like other mega journals that by their own saying publish anything that is scientifically valid regardless of importance – and the bar for validness is set low as long as the fee is received. The “validness”-bar is indeed set really low. In fact, so low that I can easily refer to a paper with obvious errors in the experimental set-up, data analysis, and data representation. Sadly, my repeated attempts to get a response from the authors has so far only resulted in the silent treatment, and submitting an official comment will set me back 1700 dollar – thanks, but no thanks. It should be minded that Sci Rep seems to have been founded about the same time that Nature Publisher was acquired by Springer. A greedy move… towards a greedy goal. The number of editors on the board of this journal is baffling indeed. I looked up the names in my own field of expertise, Plant Science. There are 208 names there – 208 editors for plant science alone! Evidently, Nature titles on one hand and the Nature journal Scientific Reports on the other are two very different kinds of beasts. This reputed journal has 20+ members on the Editorial Board from one Institute??!! It would be good if this comparison could be reproduced here. My experience exactly. I would not publish in Sci Rep even if it were free. … k-mers are convenient and widely used features for modeling the properties and functions of DNA and protein sequences. However, k-mers suffer from the inherent limitation that if the parameter k is increased to resolve longer features, the probability of observing any specific k-mer becomes very small, and k-mer counts approach a binary variable, with most k-mers absent and a few present once. Thus, any statistical learning approach using k-mers as features becomes susceptible to noisy training set k-mer frequencies once k becomes large. To address this problem, we introduce alternative feature sets using gapped k-mers, a new classifier, gkm-SVM …. The k-mer feature is one of the most useful features for modeling the properties and function of DNA sequences. However, it suffers from the inherent limitation. If the value of word length k is large, the occurrences of k-mers are closed to a binary variable, with a few k-mers present once and most k-mers are absent. This usually causes the sparse problem and reduces the classification accuracy. To solve this problem, we add gaps into k-mer and introduce a new feature called gapped k-mer (GKM)…. By using this feature, we present a new predictor called SVM-GKM…. The numbers (“editors”, papers, and dollars) are indeed quite mind boggling. First the money… 21k papers at $1700 each makes for a tidy little $35M revenue stream, for virtually no outlay (server costs and a few web admins). It’s probably less (since lots of authors get fee waivers), but still bigger than PLoS which routinely reports turnover in the 20s. Nice work if you can get it! There are quite a few other journals using a similar editing model – i.e. a very large “editorial board” which in functional reality is nothing more than a list of reviewers. Upon reciept of reviews from these editors, the final decisions are then made by a much smaller cohort of associate editors. It’s really just a nomenclature issue, and a nice little racket which works for now as long as the P&T committees don’t look beyond the end of their noses. I would bet none of those 8000 editors are getting paid (just like at most other journals), and are very unlikely involved with any kind of decision making within the journal (i.e. attending Ed Board meetings, setting policies). I wonder if Burkhard Morgenstein ever tried to get onto the board of SciRep?